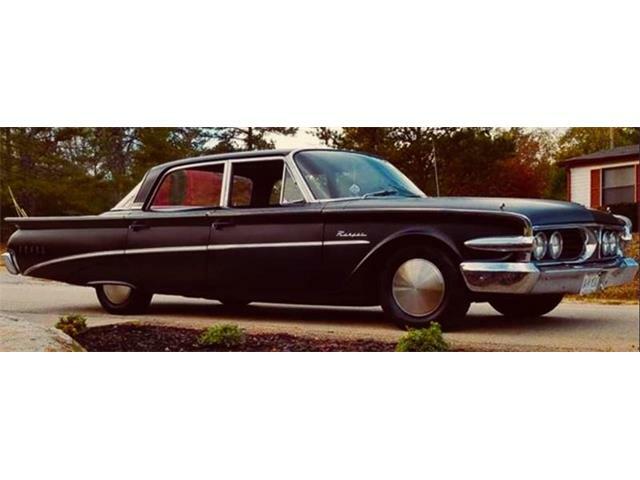 Through no fault of its own, the Edsel automobile became for a generation of Americans shorthand for colossal failure, and fodder for standup comedians who mocked its front-end styling as “sucking a lemon.” Bad timing as Ford designers failed to recognize changing American tastes. 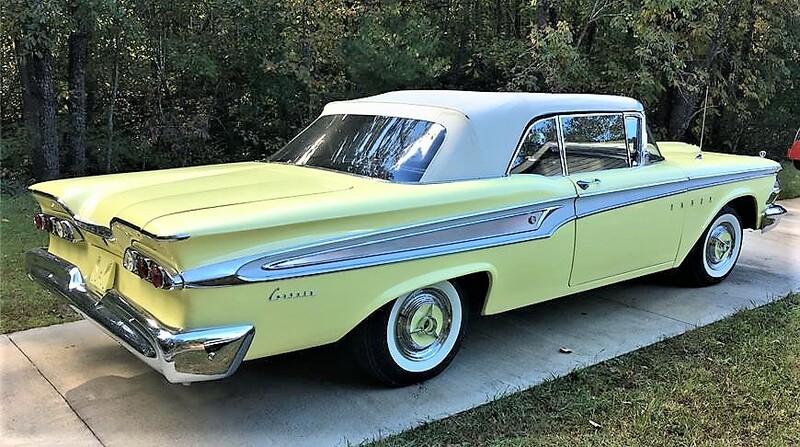 But while the Ford premium brand was a disaster in the showroom, and ended production after just a few years, Edsels have found their footing as collector cars, and not just among those who like to be different or contrary. 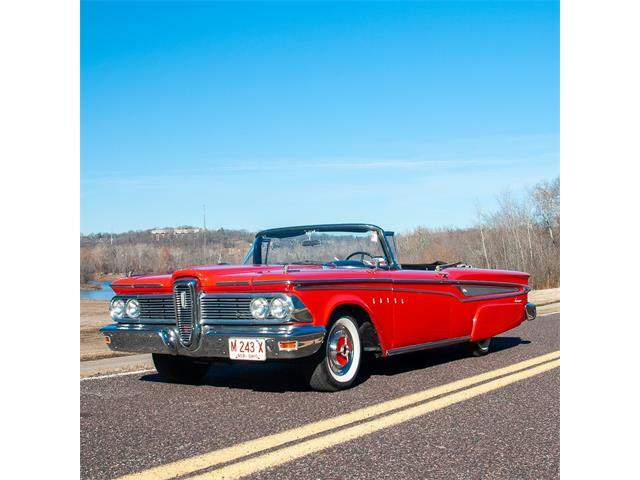 The Pick of the Day, a 1959 Edsel Corsair convertible, shows how splendid these cars are capable of being. 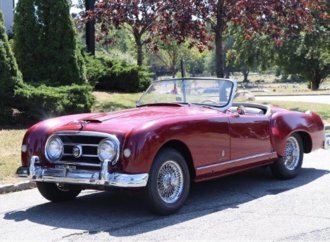 This beauty has been restored to as-new condition, according to the private seller in Lowgap, North Carolina, who is advertising the droptop on ClassicCars.com. 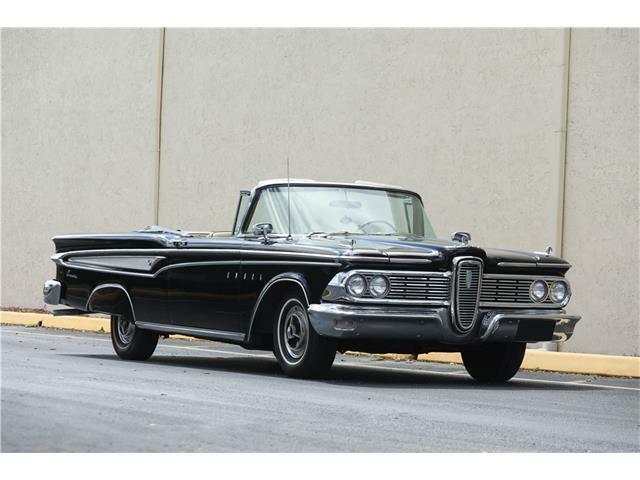 “This Edsel has just undergone an extensive 3-year, photo-documented frame-off restoration,” the seller says. 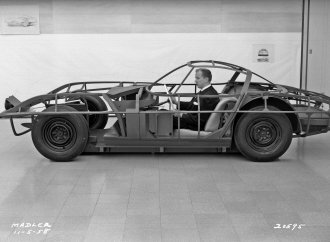 “No screw left unturned. 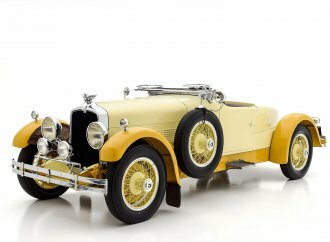 The photos with the ad show not only the beautiful result of the restoration but depict the work as it was under way. 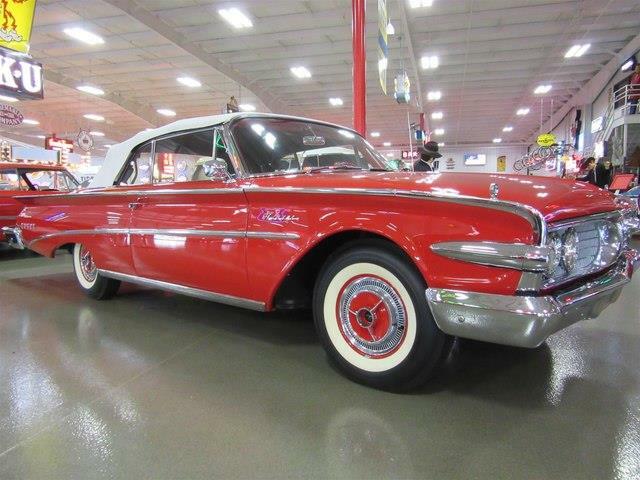 The Edsel is apparently ready to drive, if you’d dare risk getting a nick or scratch on such a pristine automobile. 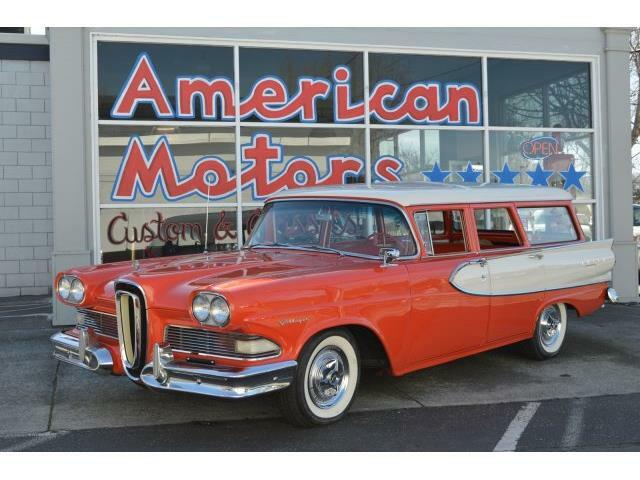 The Edsel is powered by a 361cid V8 with 3-speed automatic transmission, power steering and a power top. 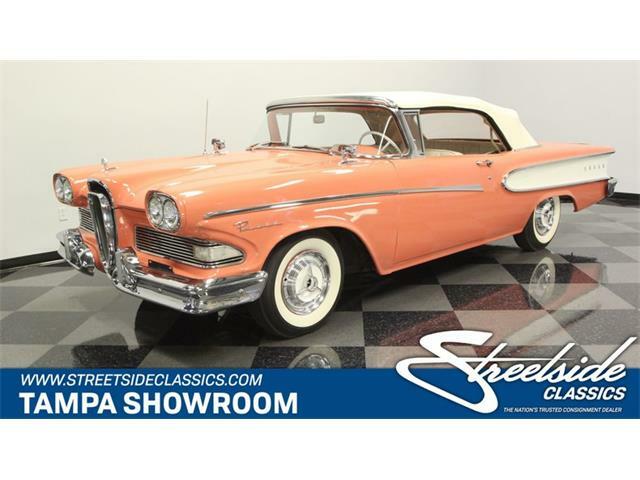 The asking price for this springtime-fresh convertible is $65,000, which seems appropriate according to the current value guides, especially for a rarely seen convertible that appears to be in show-ready condition. 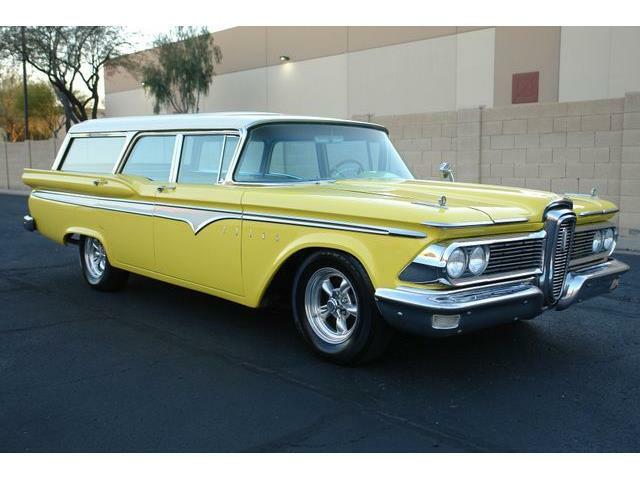 I noticed that this Edsel does not have the “ Teletouch “ gear selection in the centre of the steering column. 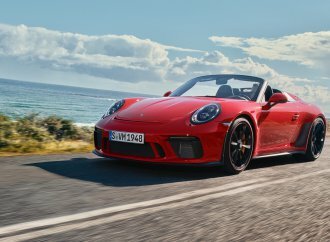 What’s up with that ? 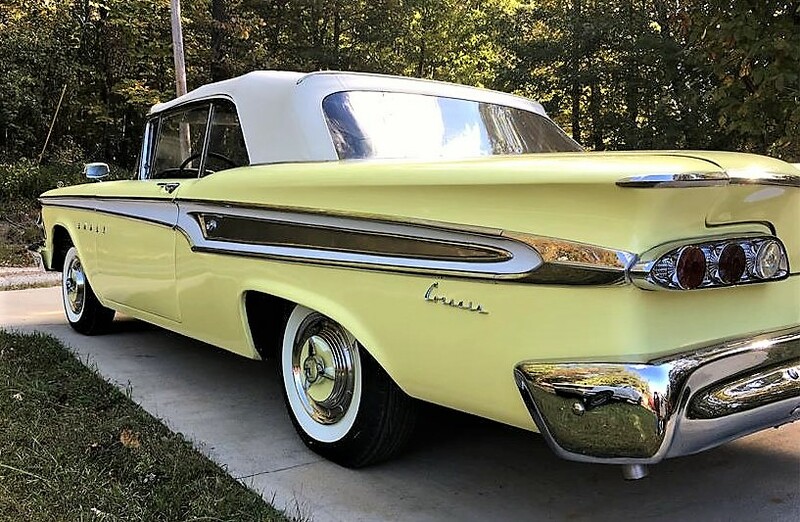 It’s a ‘59. 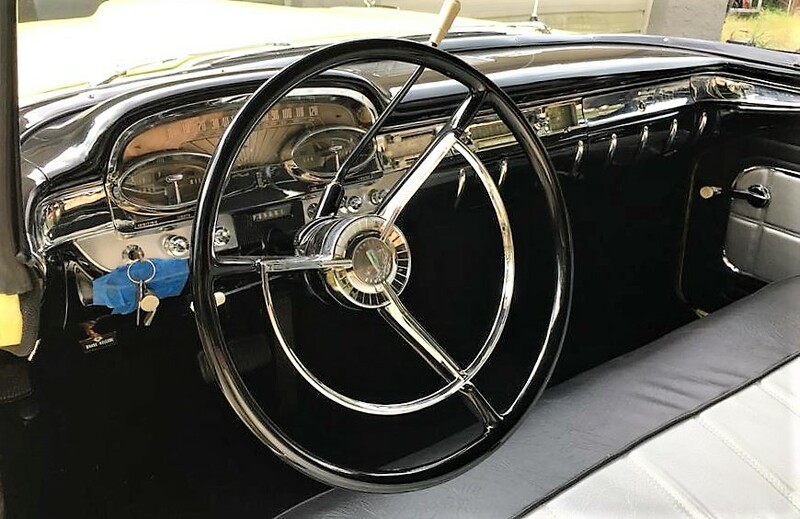 Teletouch was only available on ‘58 models. 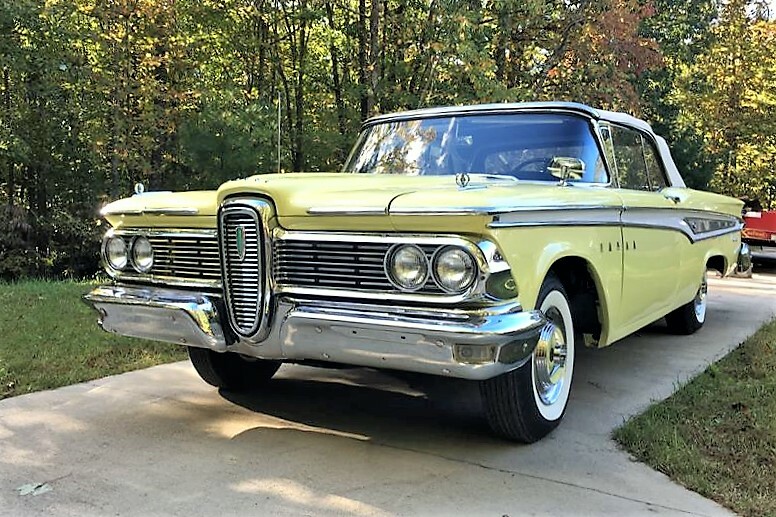 Teletouch transmission was only offered in the 1958 Edsel, the first year of Edsel production. When the Edsel did not sell well in late 1957 and early 1958, the decision was made to scrap the sometimes troublesome system for a more conventional arrangement. 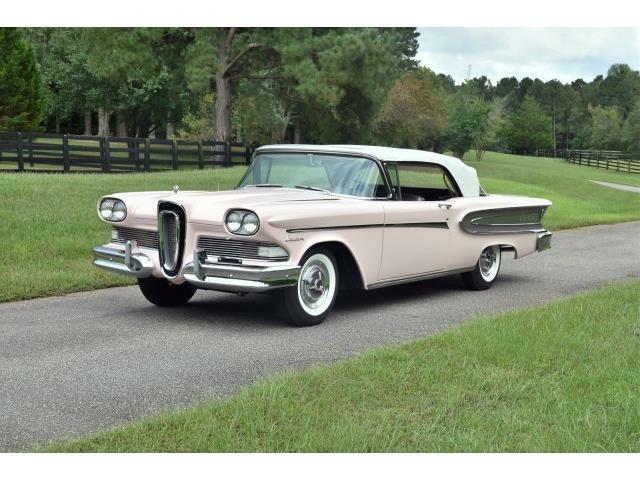 Hermoso " descubrimiento" de este Edsel Corsair, de 1959. 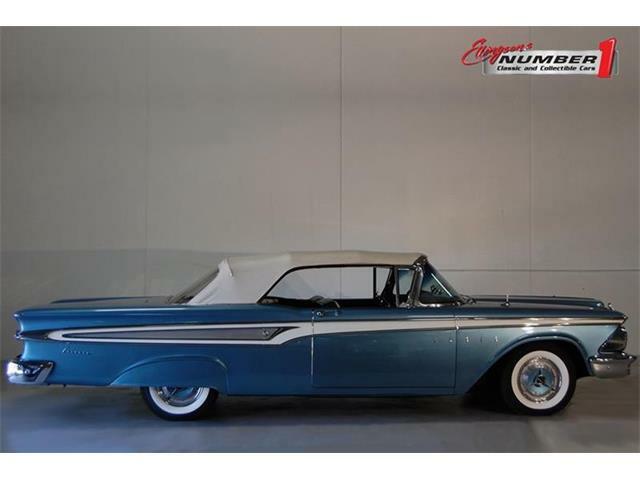 Un lujo ver algo tan bien presentado, coche hermoso y ( ya en 1959) con caracter propio. 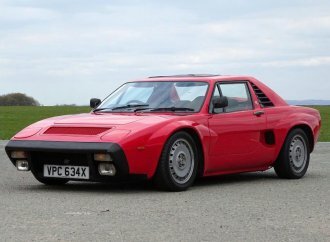 Me alegro que ahora se lo coleccione, restaure y admire en su pais de origen ¡ Felicitaciones ! 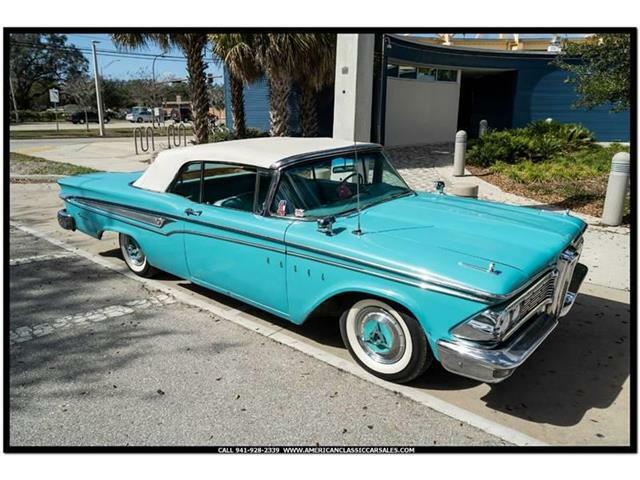 My Dad owned one of these,the hard top version,back in the late sixties. I was just a young boy at the time,maybe 7 or 8 years old. 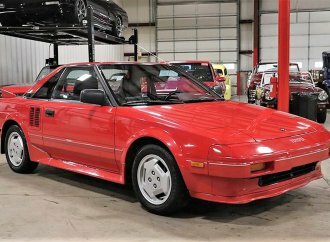 I’ve always been a car buff of sorts and even at that young age had a an appreciation for this beast.It really had and still has a sort of glamor of own.